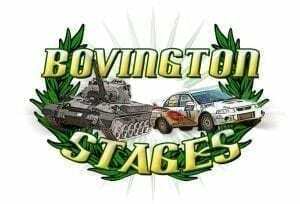 The Bovington Stages is Bournemouth & District Car Club’s premier event, and one of the leading sealed surface rallies in the South West and took place on Saturday 2nd & Sunday 3rd March 2019. B&DCC returned Motorsport to the Training Area at Bovington in 2009, and working in partnership with the MOD and DIO were pleased to be celebrating the 11th running of the event. Over the last ten years we have supported the ABF – The Soldiers Charity , for which have been able to donated nearly £30,000 to them and help them continue the fantastic work that they do. Not only are the Bovington Stages a round of the ASWMC and ACSMC tarmac championships but it is also the opening round of the FUCHS Lubricants RAC Historic Asphalt Rally Championship. To see the March results click here and don’t forget to check back for more information on our Challenger Stages event in November 2019!